We read the book Harry the Dirty Dog this week for the Virtual Book Club for Kids. 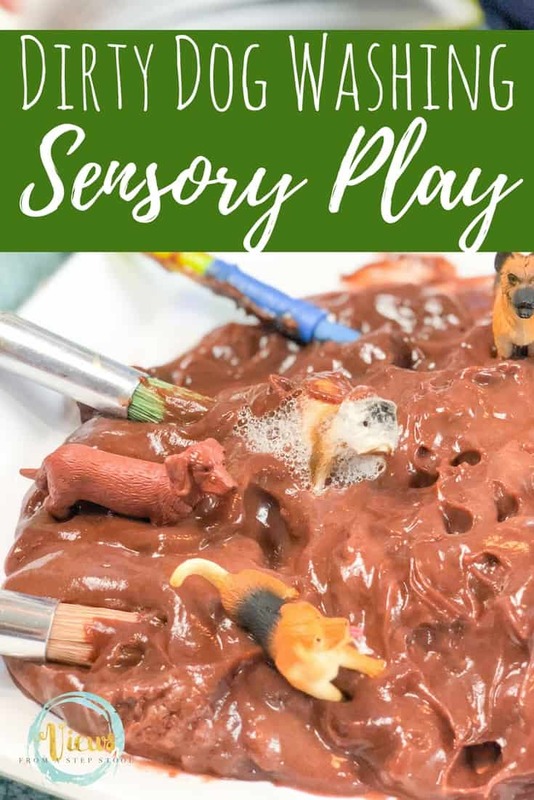 My little guy loves playing with dogs, and we are all about edible sensory play for toddlers (just in case something sneaks into their mouths ;)). 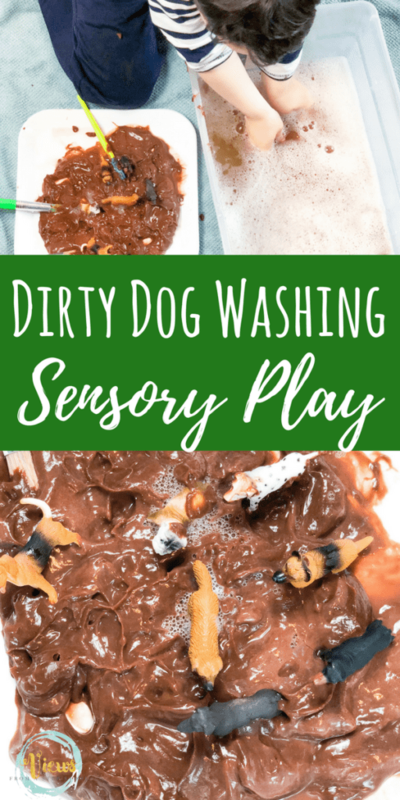 If you want a food alternative, here is a really fun dog washing sensory bin using real dirt! 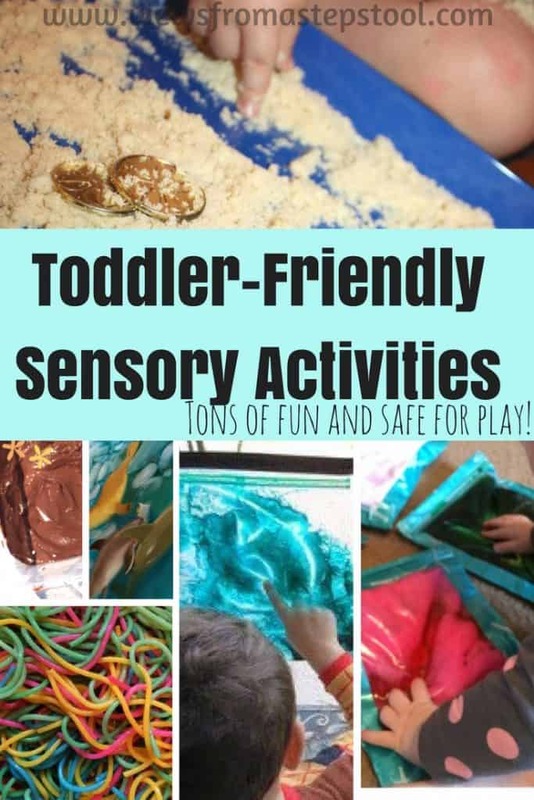 Edible sensory play is a great way to introduce this kind of hands on fun and learning as an activity for 1 year olds. 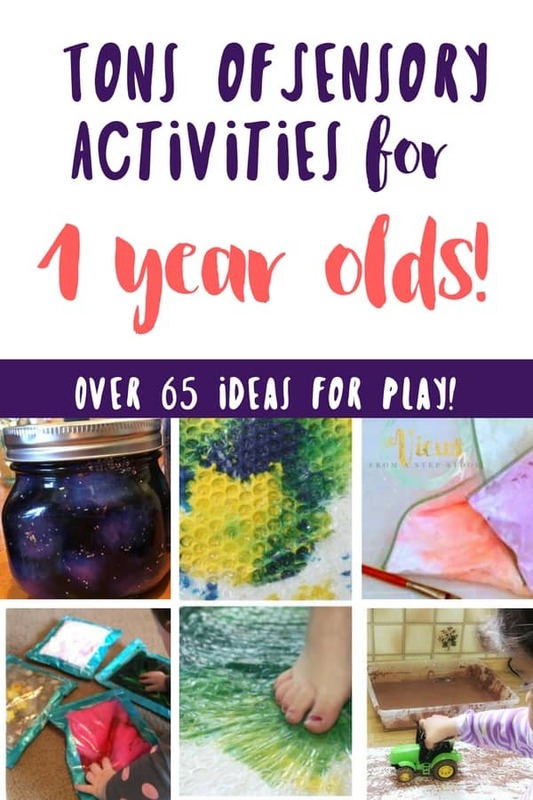 Plus, preschoolers and older children will love it as well, making it a win-win. *This post contains affiliate links. 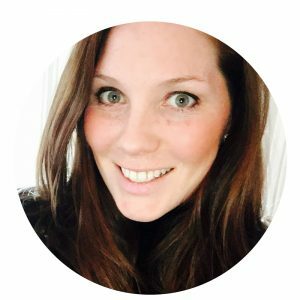 This site will make a small commission off of purchases made. 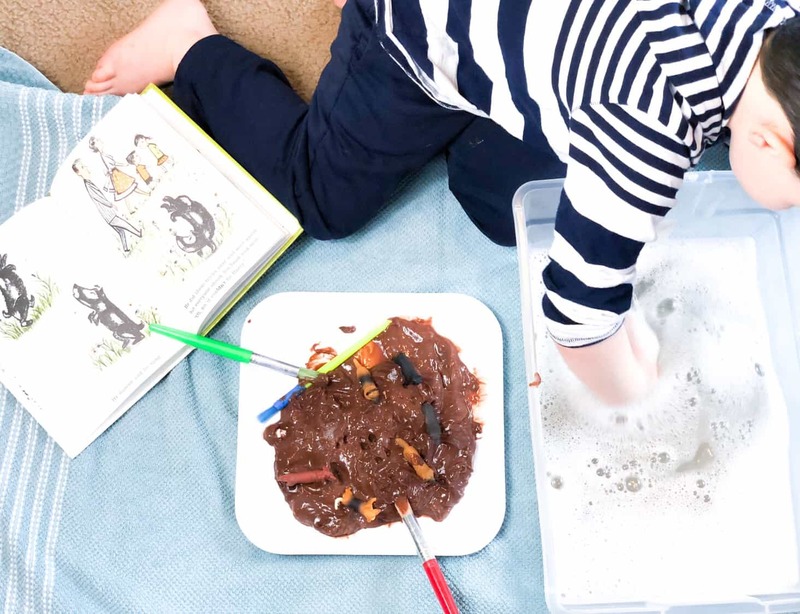 Edible sensory play is excellent for babies and toddlers, as inevitably, little ones like to explore with their mouths. 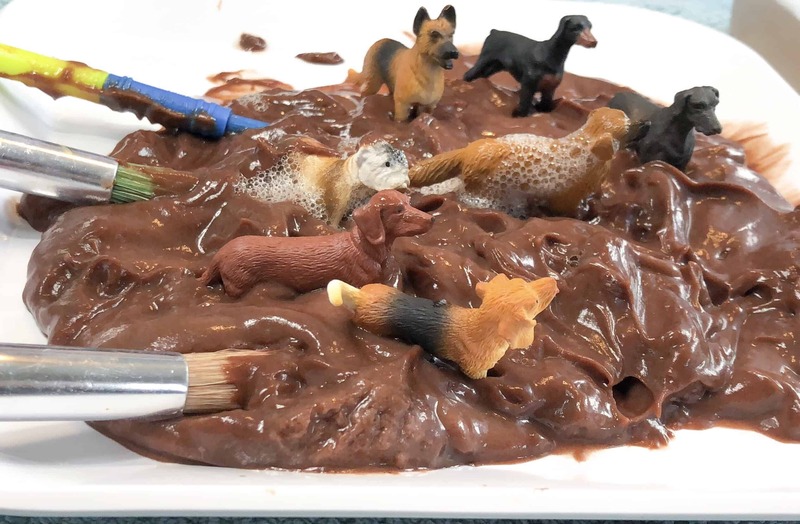 The dogs can just and splash in a giant mud puddle of chocolate pudding! 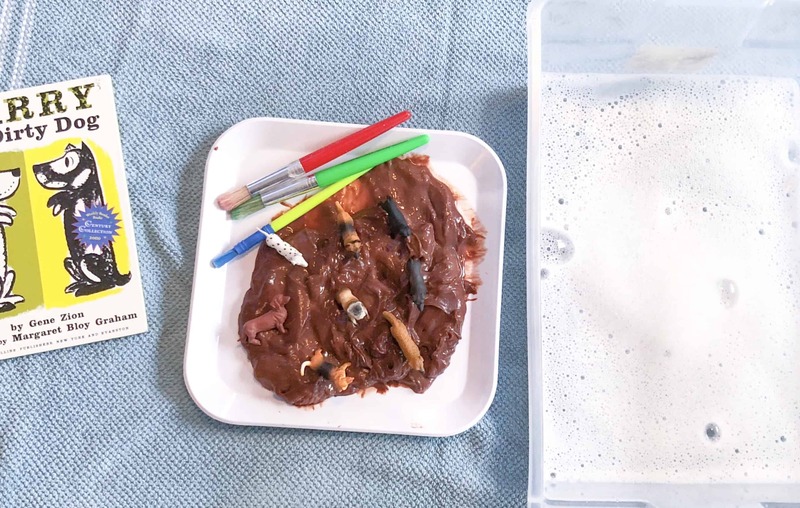 Place some chocolate pudding onto a tray or plate. 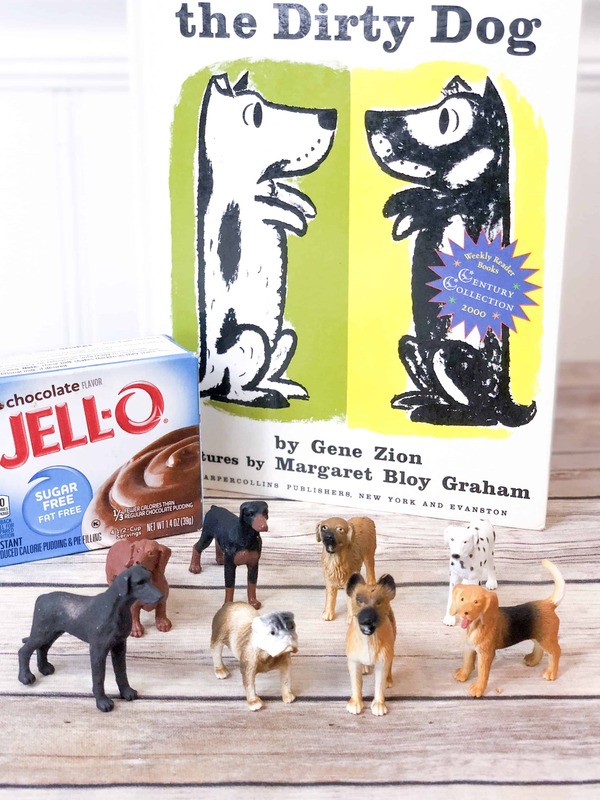 To the pudding, add some toy dogs. We love the small Toob figurines for play. 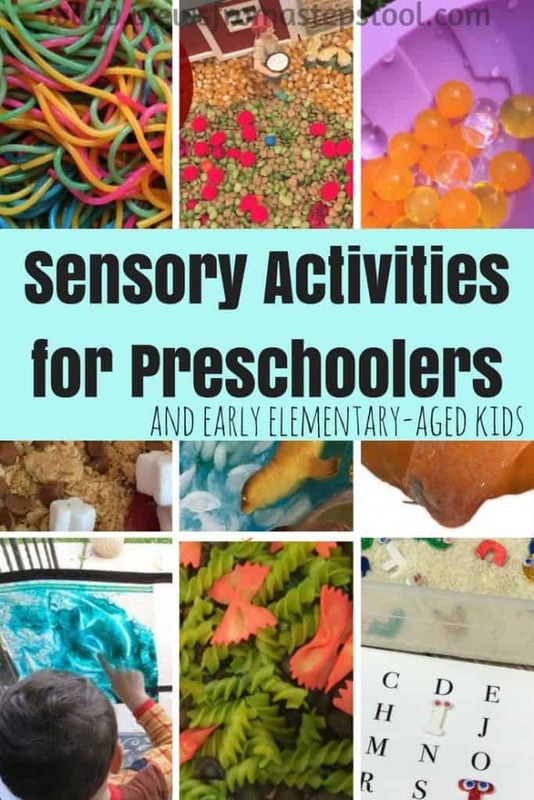 There are awesome in Magnatile houses, sensory bins, or for some pretend play! Next to the pudding with the dogs, place a bin of warm soapy water. 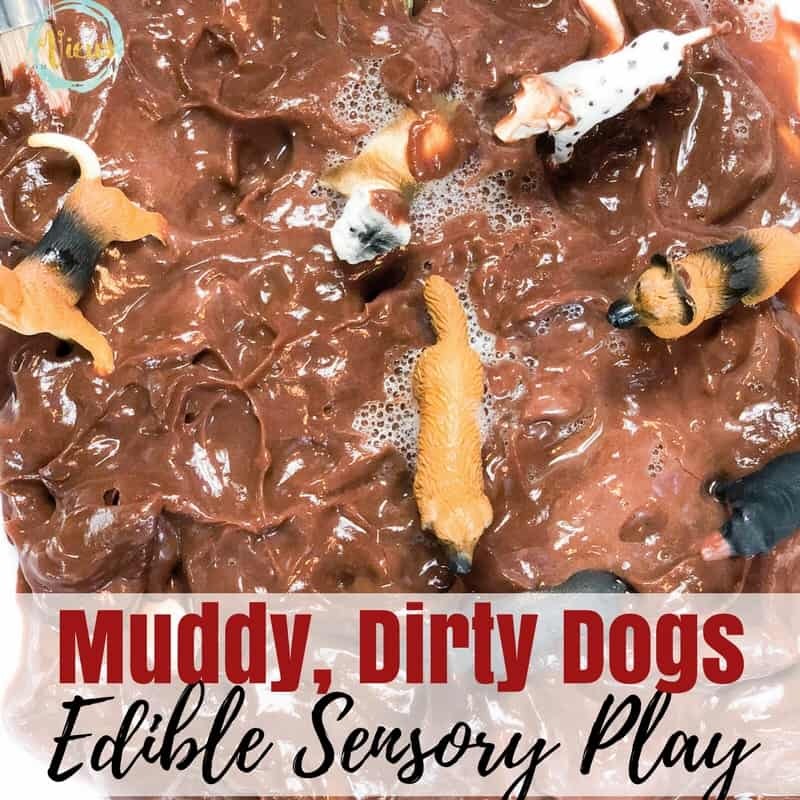 Though this part is not edible – the muddy dogs are! 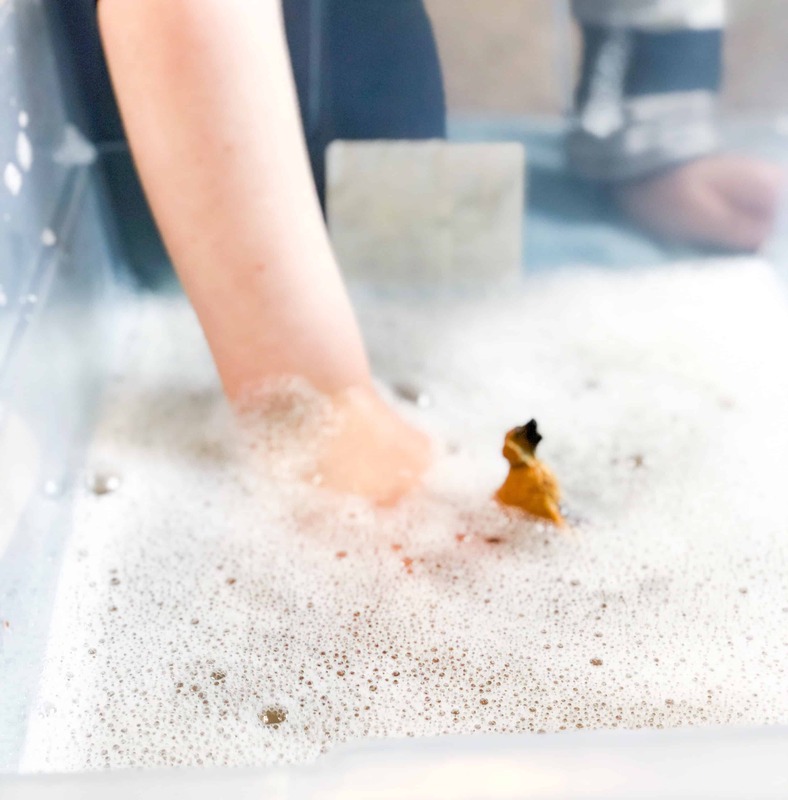 And, most kids are familiar with soapy water and will likely not eat it, but will love to give their dogs a bath! 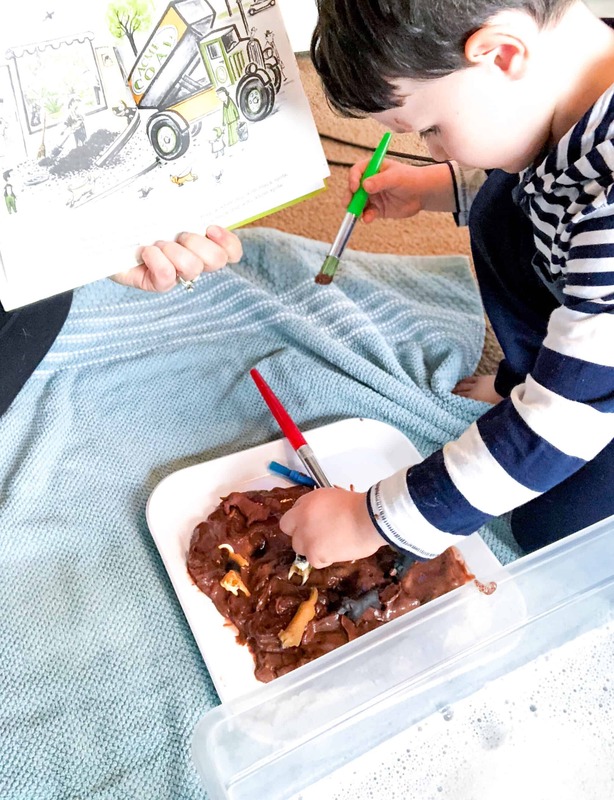 My 2 year old enjoyed listening to the book while he played with his dogs in the mud, such a great way to really connect with a story! 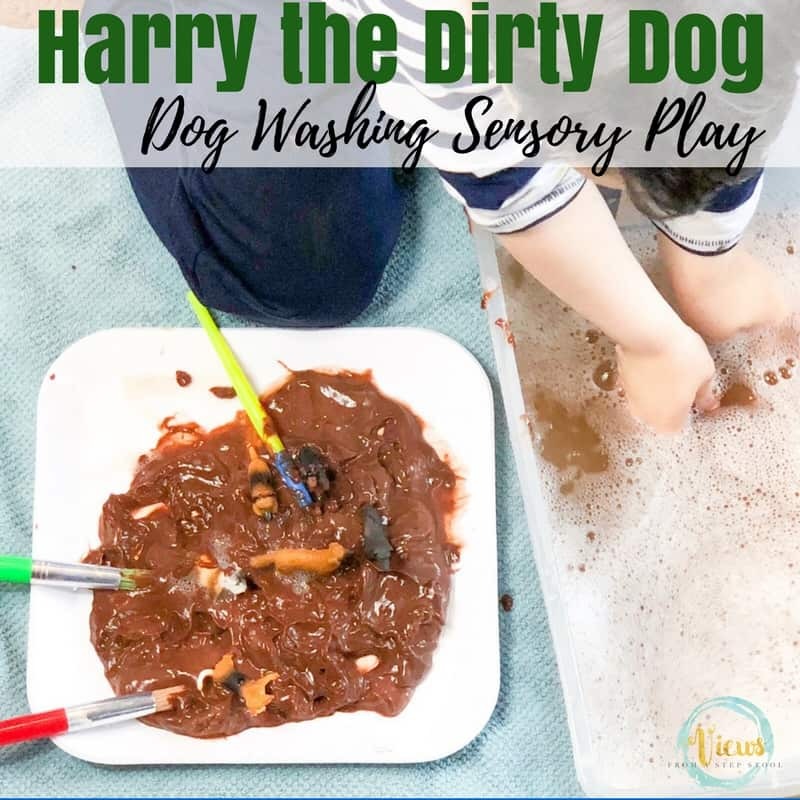 Our dirty dogs enjoyed their warm bath and snuggles, but were quick to get dirty all over again 🙂 Enjoy this edible sensory play and your time with Harry the Dirty Dog!